Welcome! Bro. Lawrence Ross here, owner of Alpha1906.com, and I have a confession to make: I’m a t-shirt fanatic. 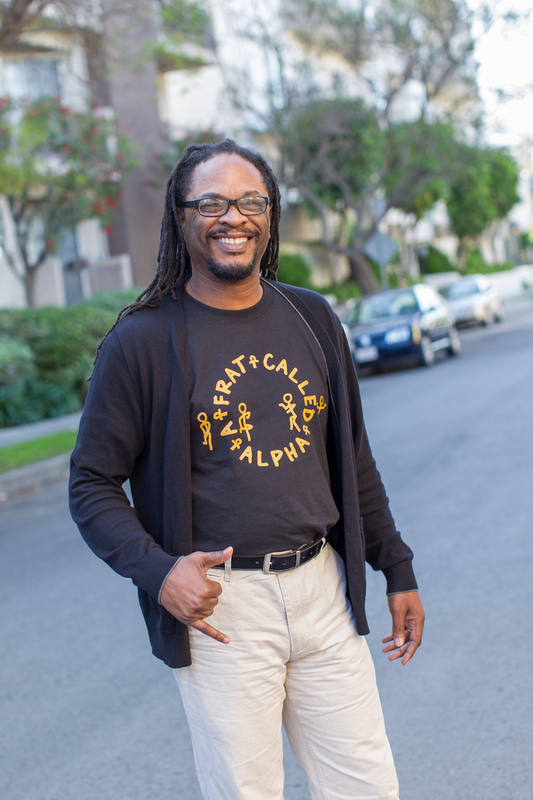 Sure, many of you may know me as the author of The Divine Nine: The History of African American Fraternities and Sororities, but I’m also a guy who loves t-shirts. In fact, if you’ve brought me to your campus for a Divine Nine lecture, my contract requires only one perk: that I receive your school’s t-shirt! But when it came to finding great Alpha t-shirts, I was disappointed. Nothing seemed fresh, different, or even remotely interesting. So I thought, why not design my own? And Alpha1906.com was born! Alpha1906.com isn’t like every other Greek para store selling Alpha gear. We’re all about t-shirts, so if you’re looking for a sweater, or jacket, we’re not your store. Or if you’re looking for a t-shirt where the letters A-Phi-A are simply slapped on the front, we’re not your store. And if you want some cheap lightweight t-shirt that goes limp after a couple of washings, well, we’re definitely not your store. Alpha1906.com is a boutique, meaning that we’ll never have a thousand t-shirts on our site. We’re about designing a different type of Alpha t-shirt, and that means designing them one at a time. Our philosophy? We’d rather you buy only one Alpha1906.com t-shirt a year, and be happy, than to purchase ten poorly made and designed shirts and be dissatisfied. 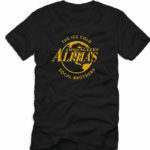 Our Alpha1906.com t-shirts are top quality, 100% ringspun cotton, which makes them softer than your average para. They weigh 6.1 ounces, giving them a strength that can withstand thousands of washes. And Alpha1906.com designs are more subtle than what you typically see in a typical Greek store. Sophisticated. There’s an attention to detail not often seen. Always Old Gold and never yellow. It’s Alpha para that fits on the Yard as well as the office for a casual Friday. And since I’m an Alpha, our t-shirt designs tap into the DNA of what it means to be an Alpha. And we will, from time to time, include some non-Alpha specific t-shirts. Why? Because we Alphas don’t just wear para all of the time! And if you’re a t-shirt fanatic like myself, you’re interested wearing great t-shirts of all types! We have a new regional t-shirt line, a line that taps into what it means to be from NY, DC, LA, Oakland, and all other places in between. Lastly, Alpha1906.com is an officially licensed Alpha vending shop, so you can buy knowing that this store is supporting our Fraternity. So if you’re an Alpha brother looking to upgrade your para, or a friend looking to buy gifts for the Alphas in your life, then Alpha1906.com is the Greek para shop for you! Happy shopping, and 000000-SIX!